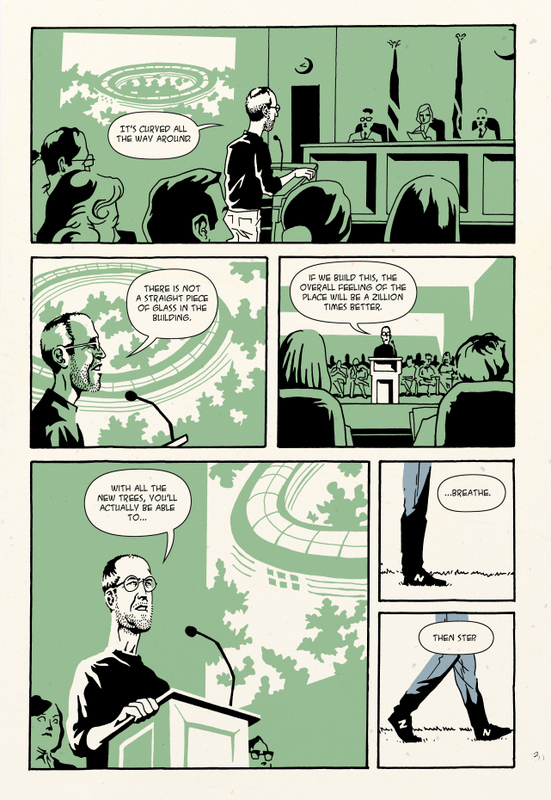 STEVE JOBS Graphic Novel Is Coming! 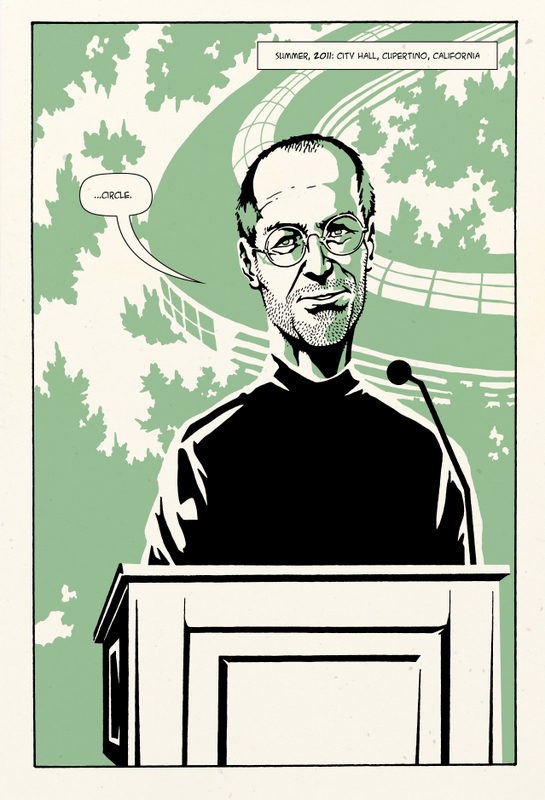 There’s no doubt that Steve Jobs is certainly one of the most influential men of the late twentieth century. 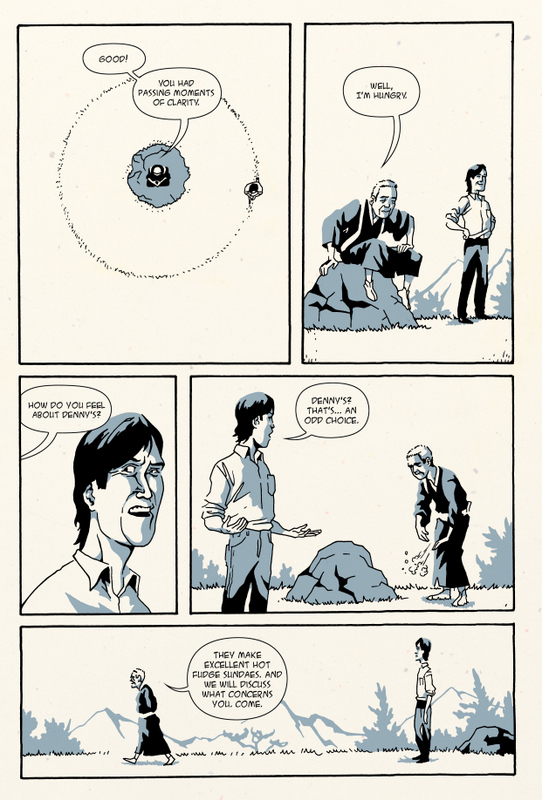 And now, he’s becoming immortalized in a graphic novel written by Forbes Magazine and illustrated by JESS3. According to the article, the 60 page story will be published in the upcoming Forbes 400 issue and will be released digitally at a later date. 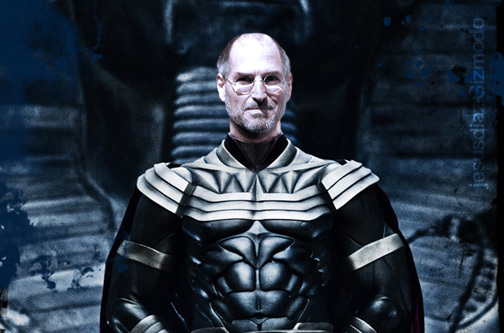 The action takes place in the mid-1980s, after Steve left Apple and went on to start a new computer company — NeXT, which would later be bought up by Apple (and Steve along with it). The narrative flashes back and forward in time, connecting this influential period to other highlights in Steve’s career and exploring the imprint of Japanese design concepts on Steve’s creative vision. 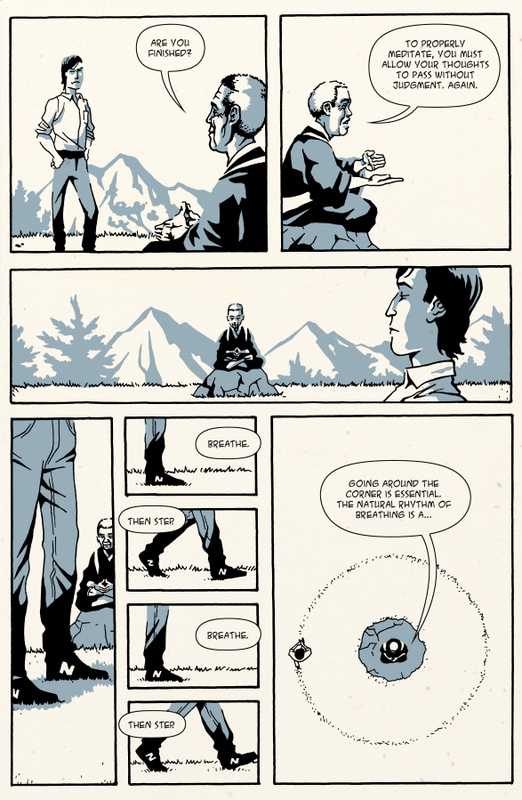 After the jump check out some pages set in 1986 which focus on Steve’s relationship with his friend and mentor, Kobun Chino Otogawa, a Japanese Soto Zen Buddhist priest who resides at the Tassajara Zen Mountain Center in California. And Discusses His Work On THOR, ALIEN, STAR SLAMMERS & More!